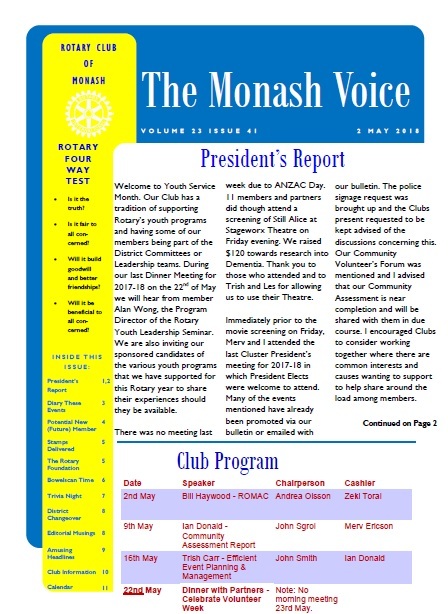 Our Weekly Club Bulletin, 'The Monash Voice', provides a vital source of information on Club and member activities and achievements as well as upcoming events. Members may access The Monash Voice via the member's section of this website. The general public may access our Club Bulletins by clinking on this link.